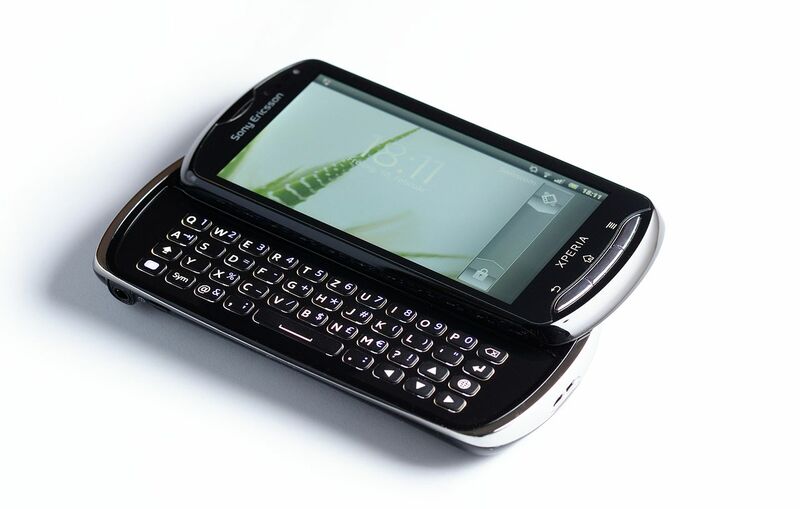 Sony Ericsson Xperia Pro is a GSM smartphone released on 2011. It has a 1GHz single core processor, 512MB of RAM and 1GB of internal storage, 480Mb free for user space. Using Sailfish OS on this phone expands the internal storage with SD Card (required), making it act like a (max) 32GB storage device, but the reading/writing speed depends a lot on the SD card specs. Disclaimer: Testing with any unofficial images is in your own responsibility. If you brick the device following this guide, it's up to you to fix. This guide is written by information available on July 2015, please check any possible updates in the sources linked in the end of this post. Got worried? Instead of installing the full operating system guided below, you can try installing Angry Birds Stella launcher on your Android phone, available on Google Play Store. The launcher is officially supported by Jolla, but it's not full operating system, it only gives an idea what Sailfish OS has to offer for your user experience. When done, copy both of the downloaded files to the partition 1 (FAT32), shut down your phone and insert the SD Card. Note that the SD Card must remain in the phone to run Sailfish OS on it, but the first partition can still be used for moving data between devices. Your phone should be turned off, unlocked, factory reset done, SD Card attached. and wait for your Xperia to show a boot image. Note: If the phone is not booting at all, reboot your phone into fastboot mode again, enter fastboot erase system and fastboot erase userdata. This will erase all data and settings. After that, try again - in most cases, problems occurs if there was already something in the system folder. After entering the recovery mode, you should see a menu on your phone screen. Navigate the menus with Vol-Up/Down to choose, Home to confirm, Back to go back. If those don't work, refer to Sony guide for correct buttons on your device. Enable Developer Mode and connection. Enter your new password. Launch SSH terminal on your computer (on windows, install for example Putty) and connect to your phone via SSH using the IP shown on Sailfish OS Settings > System > Developer Tools. Sim pin query is currently not supported, please remove pin query using LegacyXperia or another phone. UPDATE: Store works now for installing new apps No Jolla Store. You can install applications using rpm packages available for example on OpenRepos. Keyboard layout cannot be changed from settings, should be fixed in upcoming Sailfish release. Virtual keyboard visible when hardware keyboard is used. Bluetooth contact sync does not work. Compass reports incorrect (unscaled) value. Random graphics bugs with text in Warehouse (and possibly other programs), can be fixed by putting the program to backgroung and foreground again. Thanks goes to Matti Lehtimäki for making this port available, and also for checking this guide before publishing. Sail On porters! By any chance, Sailfish OS can be installed on Nokia 701 (Symbian s^5)? Ei toimi / does not work! What happens? It should work, did you have issues during any of the steps? How is the battery life and is stable enough for daily use? Have you tried to use android apps with this release? Thanks a lot for the detailed guide. As a complete android noob it helped a lot. -) Booting sometimes fails. I have to take out and re-insert the battery, the second time it always worked up to now. Hi, I am considering putting SailfishOS on an old SonyEricsson urushi aka Xperia Ray. It should be the same generation as Pro just with slightly different drivers. What do you think, can I just use the kernel/recovery from my variant and flash your Sailfish ZIP on top of it? Currently there are unifficial images for Xperia L (C2105), SP (huashan), Pro (iyokan), Z1 Compact (amami), Z3 compact (aries/z3c) and Z (yuga) so you might need to do some porting yorself with your urushi. I'd like to forward you to contact "mal-" on Freenode IRC, channel #sailfishos-porters, for more information. Would be great to add one more XPeria on the list. 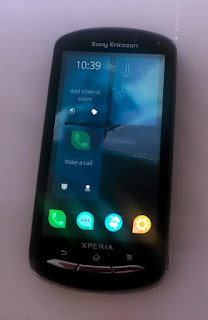 does Sailfish run on a SONY XPERIA E15I model? Hello Joerg, that's a nice phone. Arm-processor and an older Cyanogen version seems to exist, so porting Sailfish OS on it could be possible. I suggest you visit Freenode IRC, join channel #sailfishos-porters and ask around - or maybe even start the porting yourself? Does the latest ver. of Sailfish OS run with full access to Google play on Xperia E1 DS and/or Xperia E4G DS? No. Also, Sailfish OS does not support Google Play or Google Play Services. Sailfish OS runs Android apps you can install from Aptoide or other 3rd party app stores. Many thanks for your reply. And where can I download from Salfish ROM for my Xperia phones? Having E1 or E4G, those are not ported and I have no idea if they will be (no-one is hacking with those devices, at least not now). All Xperia 2011 models are well functional, and the next model under work is Xperia X single SIM (2016). Xperia X, being official version, is expected to support running Android apps.